Researchers at City University London's Biomedical Research Laboratory have developed optical and fibre optic sensors that allow doctors to monitor the oxygenation of blood in specific organs or tissues within the body, paving the way for very sick patients to receive more reliable and appropriate treatment. Researchers at City University London's Biomedical Research Laboratory have developed optical and fibre optic sensors that allow doctors to monitor the oxygenation of blood in specific organs or tissues within the body, paving the way for very sick patients to receive more reliable and appropriate treatment. Building on advances in the miniaturization of optical and fibre optic sensors, the research tackles the current inability of clinicians to monitor organ blood oxygen levels. Conventional technology requires measurements to be taken from peripheral parts of the body, which often give rise to inaccuracies as blood flow may be restricted to the extremities in certain circumstances within patients. 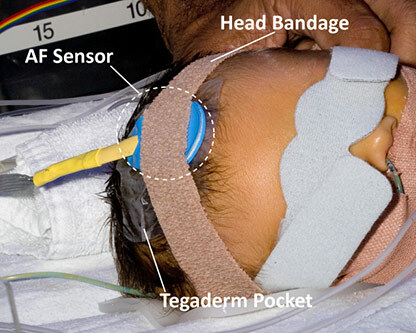 The new sensors can be applied through non-invasive or semi-invasive procedures to specific organs such as the oesophagus, bowel, liver and stomach, as well as the brain in newborns, to directly monitor the wellbeing of certain organs, tissues or other parts of the body. It means that with minimal discomfort to patients, doctors can find out the condition and blood circulation within specific areas of the body. with minimal discomfort to patients, doctors can find out the condition and blood circulation within specific areas of the body. These sensors comprise miniaturised light emitting diodes and photodetectors that can measure the specific absorption of the light by oxyhaemoglobin in blood to determine oxygen levels. These sensors have to be encapsulated in materials to avoid harm to patients, but have been fabricated as small as 150 microns across and shaped for use in specific organs or tissues. The research is led by Professor Panicos Kyriacou, based on his PhD studies at St Bartholomew's Medical School and Hospital prior to joining City's academic staff in 2004, with all sensors and instrumentation designed and fabricated at City's Biomedical Research Laboratory. The team also included senior lecturer Dr J Phillips, research fellow Dr M Hickey, research assistant Dr J May and PhD student Ms T Zaman. The work has been the subject of important collaborations with eminent clinicians at hospitals including the Royal London Hospital, St Bartholomew's Hospital and Great Ormond Street Hospital for Children, as well as the St Andrew's Center for Plastic Surgery and Burns. Following clinical trials at the collaborating hospitals these new sensors have already benefited more than 200 patients, including children and babies. Better monitoring of patients has meant improved diagnoses and resulting treatment, better peace of mind for patients and, in the case of babies, parents. For the first time, clinicians have been able to observe oxygen levels in specific organs in real time during operations, revealing their state of health before and after the surgical procedures. For the first time, clinicians have been able to observe oxygen levels in specific organs in real time during operations, revealing their state of health before and after the surgical procedures. The new sensors have also meant more cost-effective healthcare and have even helped provide a better understanding of chronic diseases and medical practice generally, for example showing that the oesophagus is a good place in which to monitor oxygenation in very ill patients. 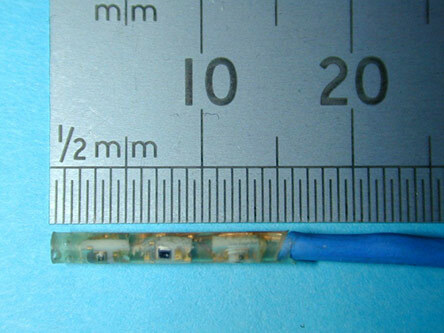 The work has also pushed the limits of current design capabilities for optical and fibre optic sensors, and with these sensors still in use within the NHS, clinicians have said equivalent commercial medical devices do not yet exist. However, the completion of clinical trials paves the way for commercialisation of the sensors, and the technologies have attracted the attention of several medical device manufacturers, with discussions on collaborations now underway. The advances made in miniaturisation of optical and fibre optic sensors being achieved at City are driving significant benefits for the healthcare industry, doctors and their patients. Improving the accuracy of diagnosis and the targeting of treatment boosts the health and wellbeing of patients, while reducing the costs of providing effective healthcare. The technology means greater peace of mind for parents of children undergoing treatment and it is helping to drive new understanding of unresolved chronic diseases. This research has been funded with £250,000 from the Engineering and Physical Sciences Research Council, £650,000 from the National Institute for Health Research and £400,000 from the NHS. These key funding bodies continue to support the ongoing work.